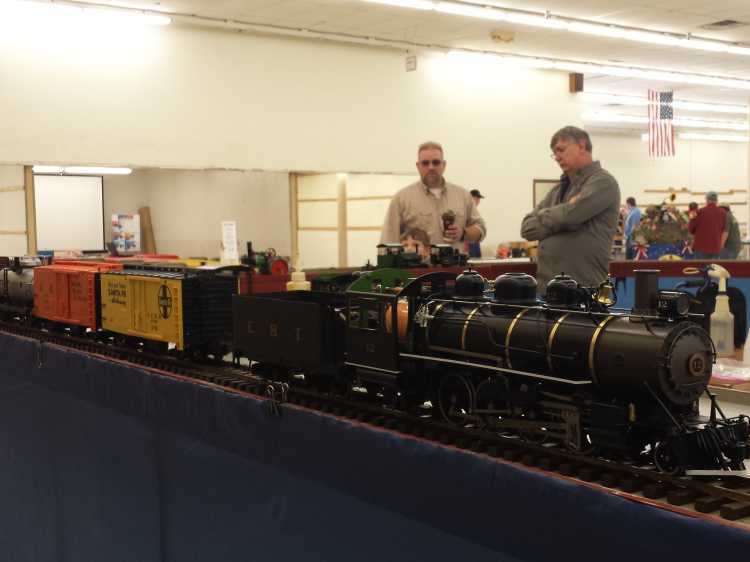 The Train Show is held at Martinsville Plaza (2182 Burton Lane) and opens at 10 am. Admission is only $3 per adult, or $5 per family (no limit on family size, so this is a great deal for larger families). 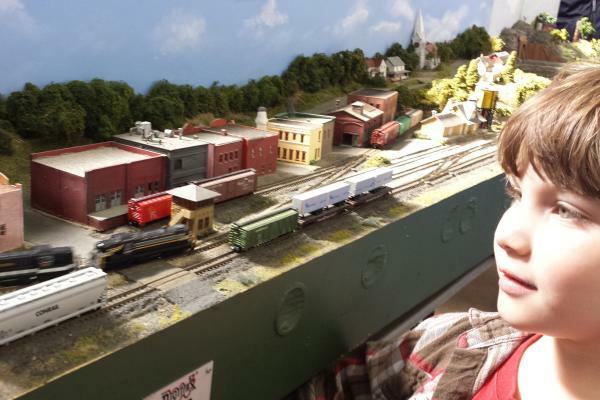 From 10 am to 3 pm, you can browse through dozens of dealer tables looking for that perfect piece to add to your own train layout, or just watch the various train layouts that will be in operation throughout the space. If you have small kids, be prepared to do a lot of watching. . . Layouts range in size from very large (more than 10 feet long) with multiple trains and elaborate landscapes (think mountains and tunnels!) 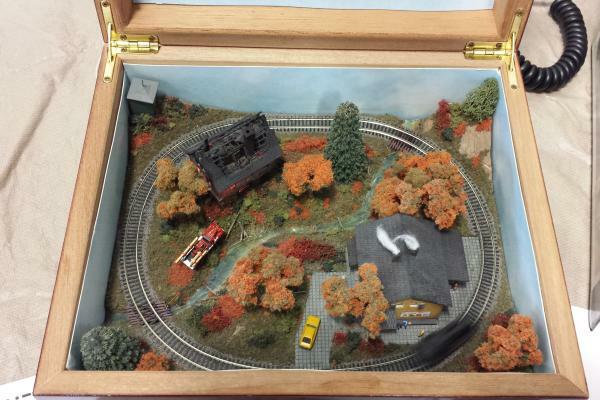 to tiny, self contained, single train layouts that literally fit inside a small box. Owners/operators are usually on hand to answer questions and talk about how they&apos;ve created their miniature worlds. Don&apos;t forget to vote for your favorite train! The Martinsville Train Show is also the annual meeting for the Central Indiana Division of the National Model Railroad Association, so if you&apos;re interested in getting involved, or learning more about this great regional group of model train enthusiasts, their annual meeting starts at 11 am. There &apos;s also an informative clinic on making realistic round hay or straw bales for your train layout - that will begin at 1 pm. If you go... don&apos;t forget about lunch! Whether you hit the train show early, then go looking for lunch or you need a hearty breakfast to fuel up before the show, there are a number of local restaurants that can solve your hunger pangs. You can find all Morgan County dining options on our restaurant page, but the closest options to the train show venue are Indy&apos;s Family Restaurant (just across State Road 37) for breakfast and lunch or Sgt. Pepper&apos;s Chicken (easily walkable from the venue) for lunch. Kids will be happy with the choices at either option. If you&apos;re willing to drive into downtown Martinsville (approximately two miles), on the courthouse square you&apos;ll find JK&apos;s Cheesecake Cafe for a quick salad or sandwich, Los Reyes for authentic Mexican cuisine or Come N&apos; Git It Diner for real home style cooking and all-day breakfast. If you try out Come N&apos; Git It, the kids will enjoy visiting with the goldfish in their self-contained aquaponics herb garden! Hit up the Martinsville Candy Kitchen for an afternoon snack or some candy and a shake to go and you&apos;ve got a full day of family fun (which means the kids will fall asleep on the way home)!